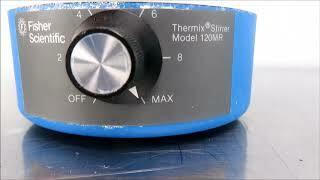 This Fisher Scientific 120MR Magnetic Stirrer has been thoroughly inspected and is performing to expectations. All of our lab equipment comes backed with our standard warranty. Should you have any questions, please don't hestiate to contact us.